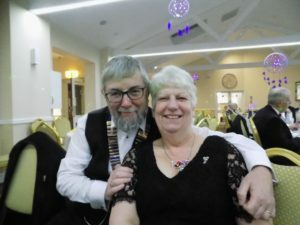 The 54th AnnualConvention Convention for Lions District 105D took place on Saturday 23rd March 2019 at the Hotel Rembrandt, Weymouth. 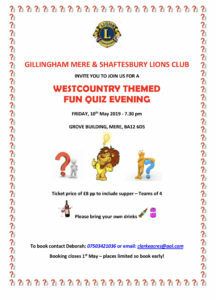 This annual get-together for all Lions Clubs in the south of England including the Channel Islands, not only acts as the annual general meeting for all Lions Clubs in the south of England but is an excellent way of catching up with old friends at the meetings and associated social events throughout the weekend. 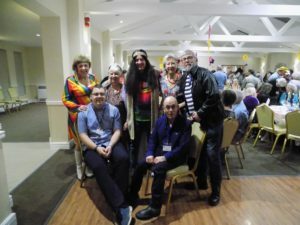 This year’s Convention theme was “The 60s”. The doors were opened and partners and guests departed. 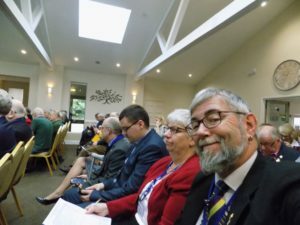 The AGM part then commenced with Minutes of the 53rd Convention passed as a true record of last year’s AGM at Southsea. 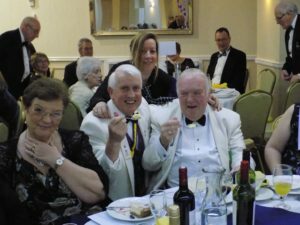 The first guest speaker – Judy Pride gave a presentation on the work that the Macular Society does and detailed how Macular Disease is the greatest form of sight loss, with 200 people per day being diagnosed with macular degeneration. It’s frightening to realise that treatment for Macular Disease, the loss of sight from the central field of vision, should commence within 3 weeks and no longer than 4 weeks from first diagnosis to minimise the effects of this debilitating condition. 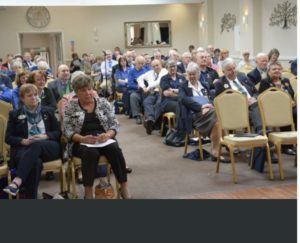 The Macular Society supported well over 1 million people last year who were generally over 50 years of age, but younger onset macular degeneration can take place in those who are susceptible to the hereditary form of macular disease. 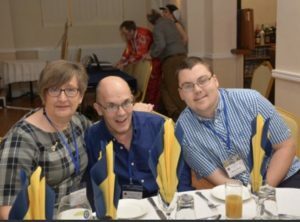 See Macular Society website. 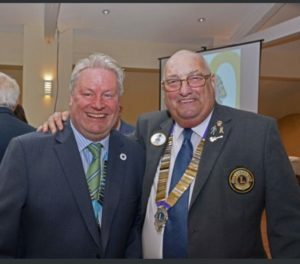 Past District Governor Roger Huntley gave a presentation on Dentaid to detail just how, poor dental health in third world countries affects a man’s ability to work and support his family and how dental surgery equipment is recycled and refurbished by volunteers through Dentaid. It is then shipped out and installed in remote areas of Uganda and other locations in Africa.The simple recycling of redundant dental surgeries in this country benefits thousands in these remote locations in Africa. See Dentaid website. International Director Geoff Leeder gave a presentation on Eye Screening explaining how the ‘Lions Kid Sight USA’ screening system works. 40% of the brain power in young children is dedicated to sight and the majority of learning takes place for everyone between the ages of 3 to 5 years. Should any sight loss occur during those years, the life chances for those children diminishes considerably as their eyesight fails. See Lions Kid Sight USA website. Convention was delighted to hear from the next guest speaker, Lynwood Newman who covered the broad subject of ‘The Environment’ in a unique way. Lynwood, a former United States Air Force Officer, outlined the effects of extreme weather, war and conflict and extreme migration can have on the environment. 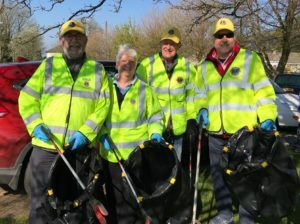 A presentation was given about the Lions 100 programme by Lion Ann Huntley followed by short presentations on the work done by Weymouth and Portland Lions Club and also Reading Lions Club. 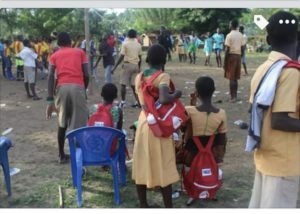 Our next Guest Speaker – Lion Linda Madden, the wife of Past International President Wayne Madden, spoke passionately about the Reading Action Programme for Children. See Little Free Library. Past District Governor Barrie Richardson gave a presentation about how ‘Freedom Kit Bags’, a programme based in Nepal, provides free sanitary wear for women and schoolgirls who are regularly forced into isolation in squalid conditions due to their monthly menstrual cycle. He outlined a scheme that for just £25 each for 2 years can provide a hygienic alternative for any woman in Nepal in these conditions of poverty to live a normal life. 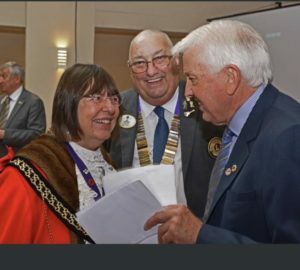 District Governor Ken Staniforth then presented Barrie with a cheque for £4,225 for the Freedom Kitbags Charity as a result of a national campaign by Lions Clubs for this worthy cause. See Freedom Kit Bagswebsite. The District Governor’s Partner’s Charity this year is ‘Kids Cancer Charity’. DG Ken’s partner Jean works in a children’s cancer ward in Salisbury Hospital so this charity is very close to her heart. She introduced Julian Canning who detailed the wonderful work that Kids Cancer Charity does. See Kids Cancer Charity website. District and International awards were presented to competition winning clubs. Ken’s partner Jean was then called to the front where she was thanked for her care for DG Ken and also presented with a Melvin Jones Fellowship. These 2 presentations made the perfect end to the convention day. « GMS Lions helped with some bulb planting.